Sandy, Utah is a beautiful and unique city. As a historic pillar of Utah, as well as the home to new additions like Rio Tinto Stadium, it’s difficult to classify Sandy as old or new. There are well-established communities and new development communities, young families and old. In Sandy you can feel an inspiring spirit of growth and renewal, of progress and history. Sandy has plenty of pride. These are just some of the reasons Mountain States Kitchen & Bath has enjoyed serving the Sandy area so much. New homes are springing up in brand new communities or on re-purposed lots and land in existing neighborhoods, and they’re looking for quality custom cabinetry. Possibly even more frequently we are called in to create custom cabinets for the remodeling of older, historic homes in Sandy. These homes have unique and sometimes challenging floor plans and designs, as they were part of the original historic Sandy, so custom cabinetry can help homeowners utilize the space in these older homes more effectively. It’s not unusual to find corner-set kitchens, split-level kitchen &amp; dining rooms in need of more functional storage, or homes needing mudroom storage when they lack regular storage space. We are able with our custom cabinetry to make your small, cramped bathroom one with space, storage, and a spa-like atmosphere. No matter the age, size, or style of your home, Mountain States Kitchen & Bath can provide custom cabinetry, counters, and sinks to fit your needs.Another common service offered by Mountain States Kitchen & Bath in the Sandy area is custom cabinetry or remodel for bathrooms. Some of these Sandy homes have only one or two bathrooms for big families, so remodeling a bathroom can be hugely beneficial. We are able with our custom cabinetry to make your small, cramped bathroom one with space, storage, and a spa-like atmosphere. 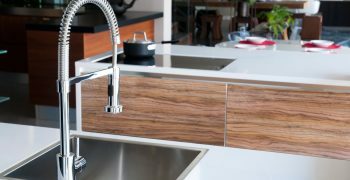 No matter the age, size, or style of your home, Mountain States Kitchen & Bath can provide custom cabinetry, counters, and sinks to fit your needs. 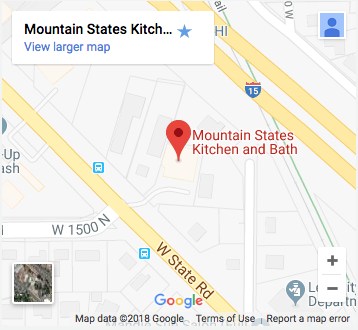 Whether your home is old or new, you could benefit from the services of Mountain States Kitchen & Bath. If your Sandy home could use a kitchen remodel, bathroom update, new counters, or custom cabinetry anywhere in your home then don’t waste time or money on a flashy contractor who will charge you through the nose. 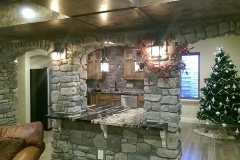 Mountain States Kitchen & Bath has been serving the Sandy area with custom cabinets and affordable prices for years. Call or contact us today for a consultation and a free quote for your Sandy home – custom cabinets, shiny new counters, or the bathroom of your dreams are only a phone call away!